The Bus Driver of the Year was awarded to someone who shines daily. 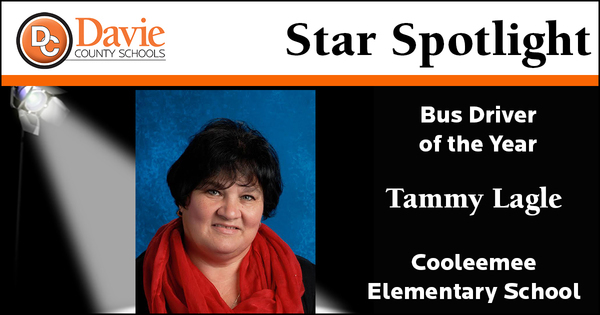 Tammy Lagle knows all of the students on her bus on a personal level and greets each child with a smile each morning. She takes care of the children just like her very own. Mrs. Lagle has been a responsible substitute driver since 1997 and full time driver for the last two years, making clear decisions about the safety of our students. She is courteous and respectful to all students, parents, and faculty. Mrs. Lagle has the initiative to go beyond her expected duties and fulfill other roles in the school. For example, before her afternoon bus route she might go by several teachers’ classrooms and ask if they need a bathroom break while she covers the class. 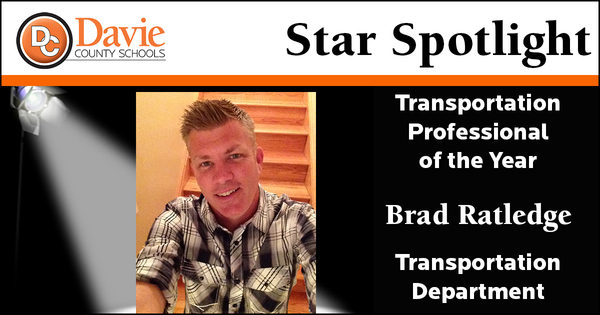 This year’s Transportation Professional of the Year has been with DCS for 5 years. Brad Ratledge currently serves as a Level I mechanic performing repairs, inspections and preventative maintenance on fleet vehicles. He is a State Certified Motor Vehicle Inspector. Mr. Ratledge is a self-motivated, hard working mechanic. He can always be counted on to go the extra mile, doing whatever it takes to complete his work assignments quickly and professionally. Mr. Ratledge is active in his church and community. He and his wife Carrie have three children who attend Davie County Schools. 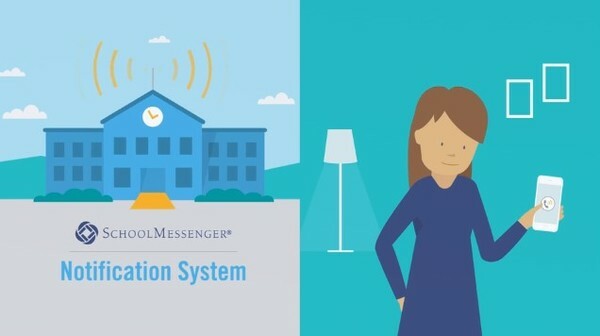 InfoCenter gives you the ability to view and listen to messages from your school or district and personalize how you receive those school communications through a website or an app on your phone. InfoCenter centralizes these communications in an inbox where you may listen to them at any time. If you are associated with students in different schools, all matching records will be linked to your account. 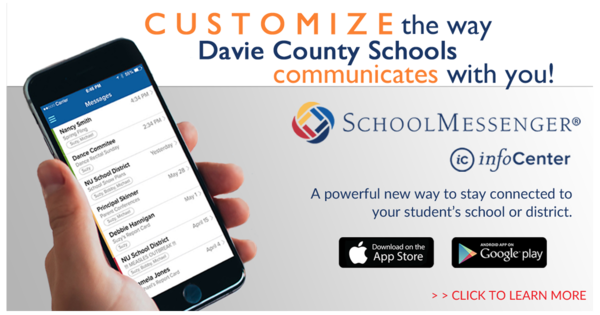 Please visit the DCS SchoolMessenger page for more information. October 14 | This is the last day to register to vote in order to be eligible to vote in the November 8 election. You may check your registration here. Information on how to register to vote may be found here. October 20 | Early in person voting begins. You may find out where to vote here. November 1 | This is the last day to request absentee voting by mail, which has already begun. November 8 | Election Day! Preregistration for 16 and 17-year-olds: One of the lesser publicized provisions of the 2013 voter ID law ended voter preregistration for 16 and 17-year-olds. Now that the Fourth Circuit Court of Appeals has struck down those 2013 restrictions, preregistration is back and our 16 and 17-year-olds can now preregister to vote. Students may preregister to vote in the Guidance Office at Davie County High School or any of the other locations listed here. Positive Behavior Intervention and Support Programs are a way to impact the learning environments in schools in order to support high student performance and to reduce behavioral problems. The North Carolina Positive Behavior Intervention and Support (PBIS) sites are working to integrate their Safe Schools Plans, Character Education efforts and strategies, and discipline efforts in order to make schools caring and safe communities for learning. Congratulations to William R. Davie, Shady Grove, Pinebrook and Cornatzer - Green Ribbon recognition; North Davie and Mocksville - Model School; South Davie and Cooleemee - Exemplar Recognition! Principals set the tone for each of our schools, and their hard work and dedication has a positive effect on teaching and learning every day. We are thankful for our principals who dedicate their careers and their lives to serving our students and teachers. 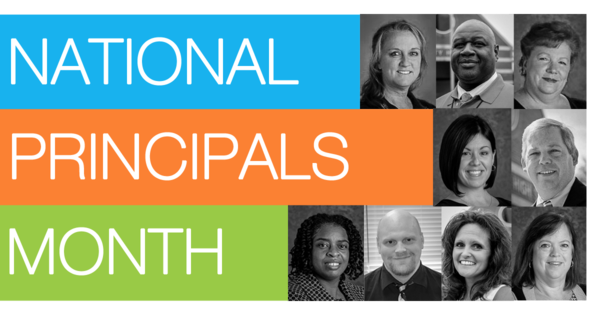 Please help us thank our principals this month for their fantastic leadership! 6th Grade Athletics A Go! In August 2016, the NC State Board of Education authorized school districts to determine whether sixth grade students may participate in interscholastic athletics, however, their new policy does not allow sixth grade students to participate in football. Immediately following this decision, DCS administrators met to discuss this topic and formed a committee to gather information from coaches, parents, and districts across the state. Each committee member supports allowing sixth grade students to participate. Surrounding districts and others across the state vary in their decisions. The committee recommended, and the Board of Education approved on October 4, that sixth grade students be allowed to participate in interscholastic athletics effective with winter sports starting in November 2016. 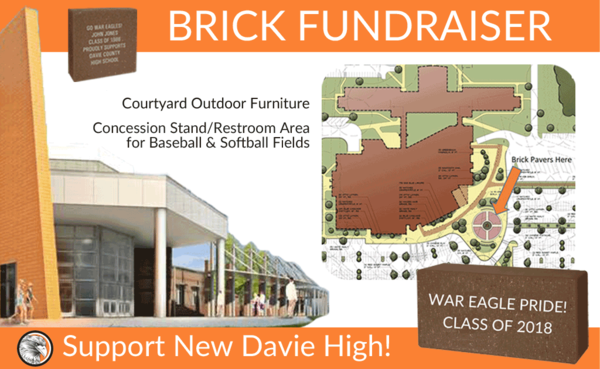 More information will be shared with middle school students and parents in the coming weeks.